Trailing 45-44 more than midway through the second half, the Privateers (11-10, 8-2) took control late and completed a sweep of the week's two road games with a 68-58 win at Incarnate Word. 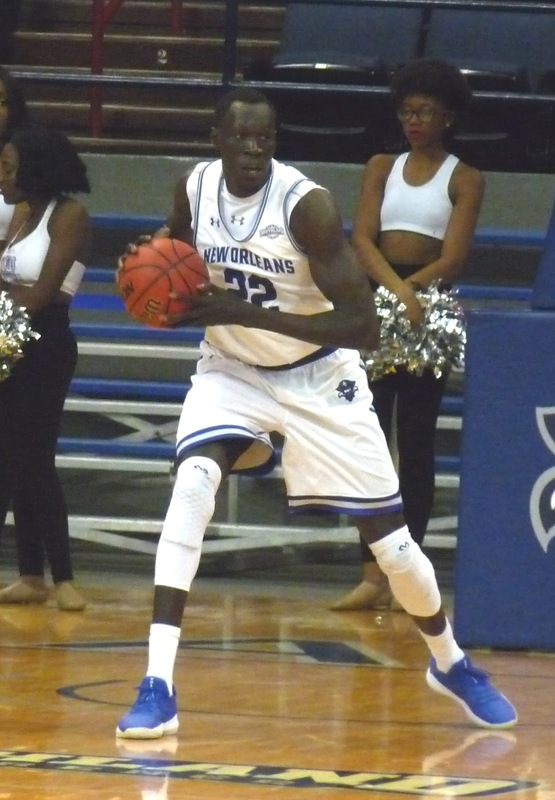 Makur Puou was a huge presence, especially in the second half, leading the way for New Orleans with 18 points on 8-of-9 shooting. 16 of those points came after halftime. Travin Thibodeaux, steady as always, added 14 for the victors. UNO led 29-27 at the break, though they gave up the last six points of the frame and fell behind early in the second. The Bucs shot poorly from the free throw line and from outside, but they tightened up the defense, forcing 20 turnovers on the afternoon, and leaned heavily on Puou down the stretch to pull them through. New Orleans is back home for two games this coming week, the first on Wednesday night at Lakefront Arena for a rematch with Northwestern State.